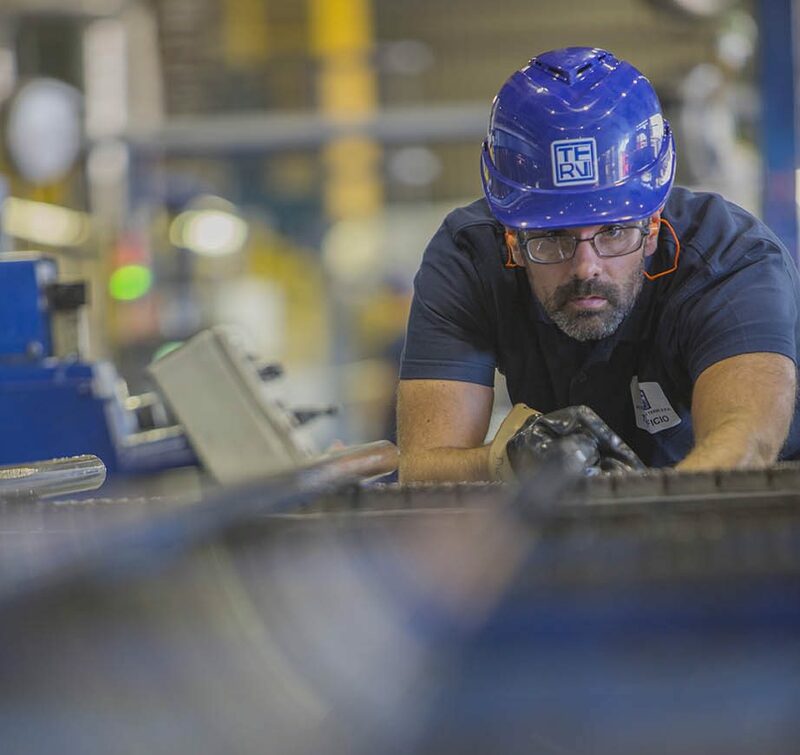 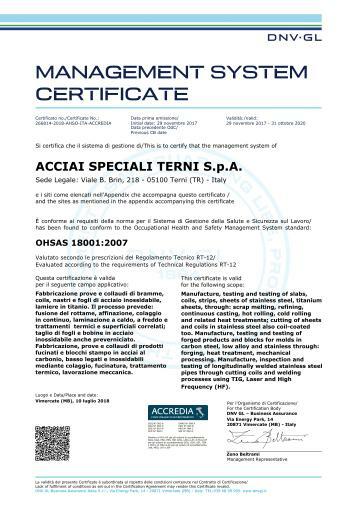 The tradition of Acciai Speciali Terni Group in managing its products according to a Quality System began in the 70s with the acquisition of the Quality System Certificate ASME (the American Society of Mechanical Engineers) and was further consolidated in 1990. 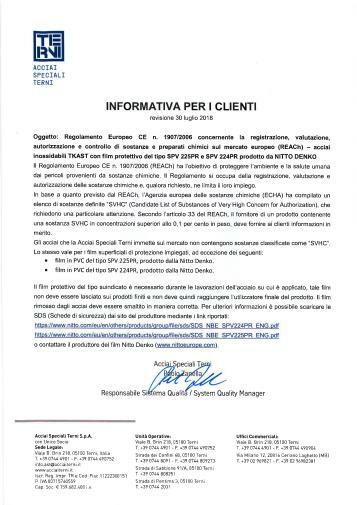 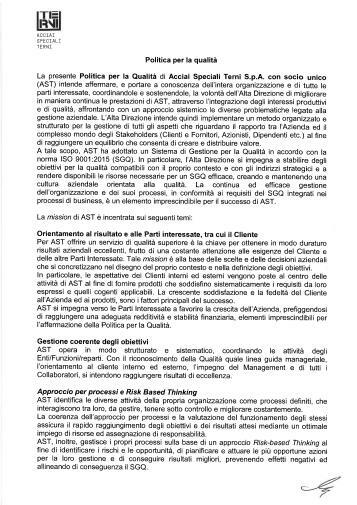 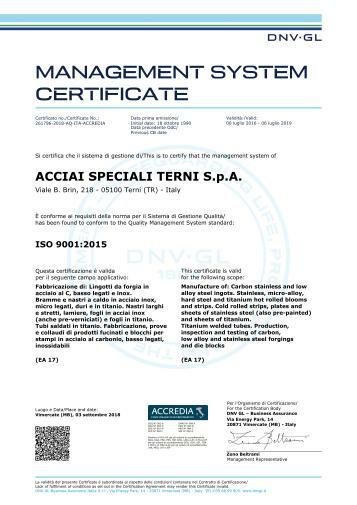 Acciai Speciali Terni is certified according to ISO 9001: 2008 with the 9009 certificate, issued by IGQ, Istituto Italiano di Garanzia della Qualità, which belongs to CISQ, Italian Certification of Company Quality Systems, a member of IQNet, the International Certification Network. 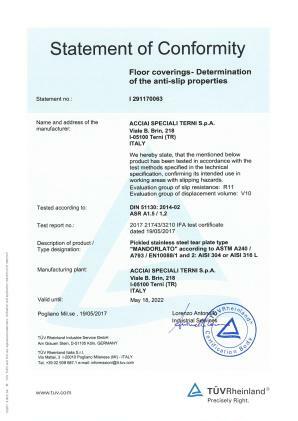 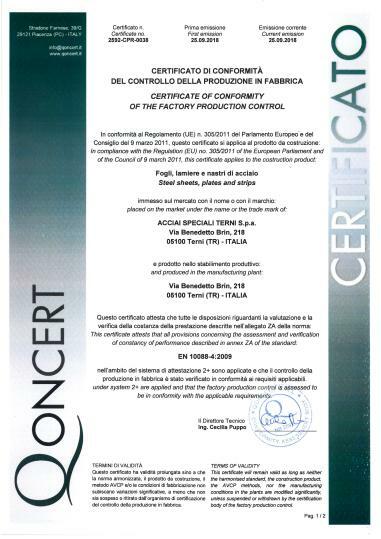 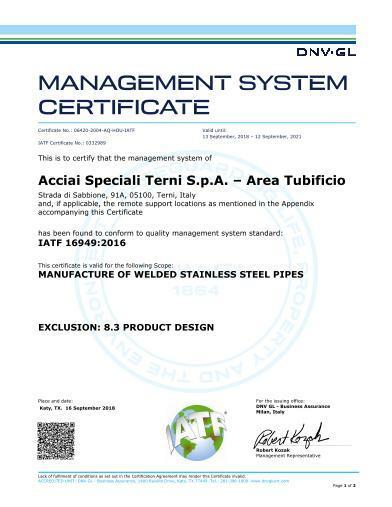 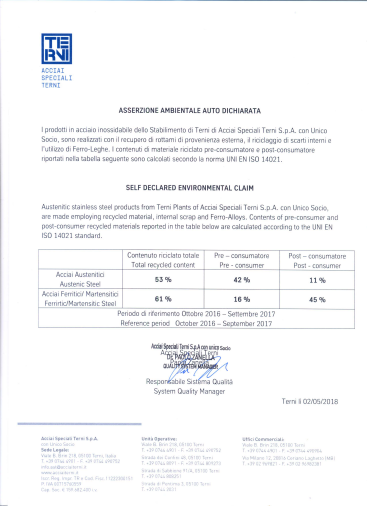 The Certificate covers the activities and manufacturing in the Acciai Speciali Terni factories. 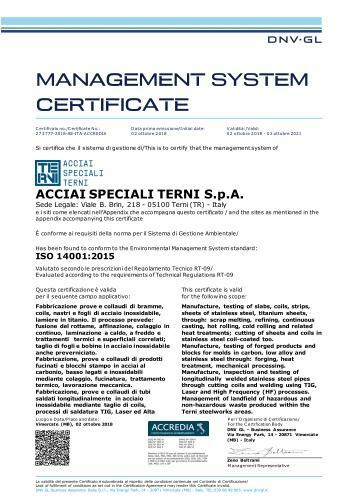 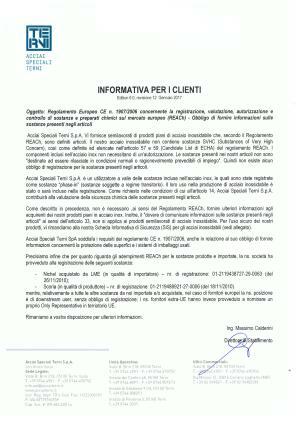 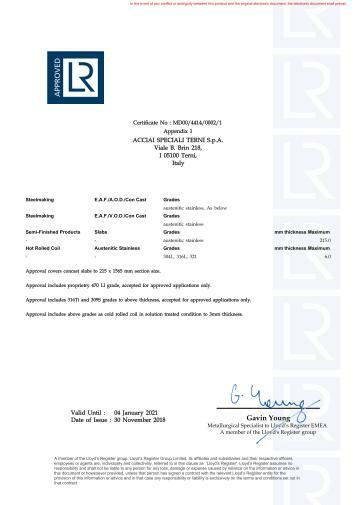 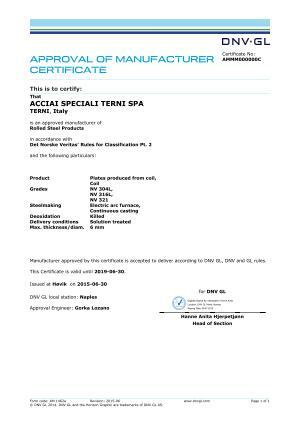 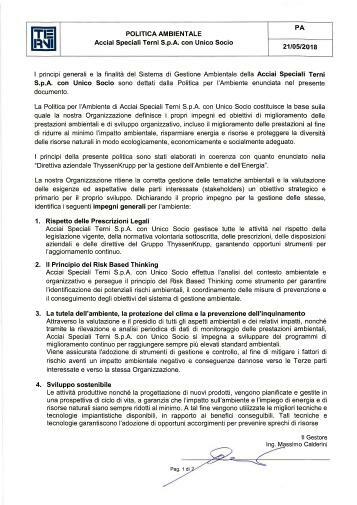 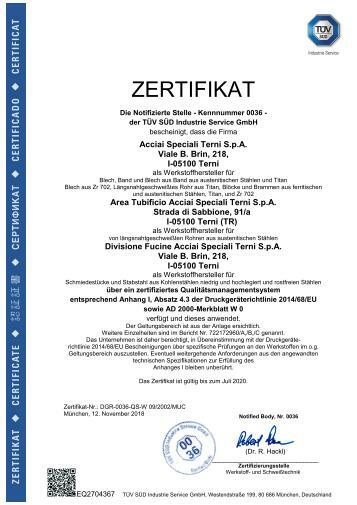 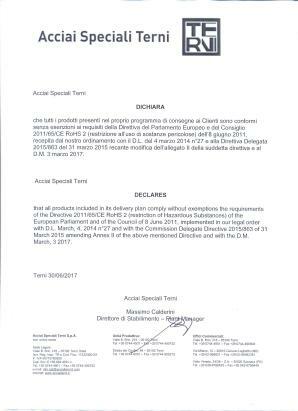 Acciai Speciali Terni has also acquired the Certificate No. 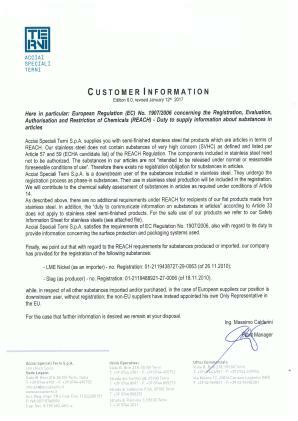 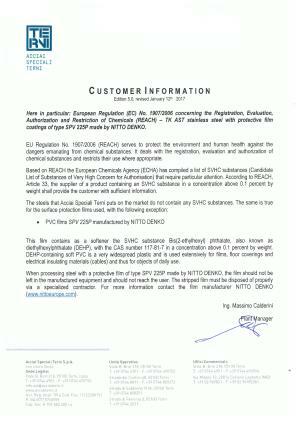 09/2001/MUC, issued by T.V Süddeutschland attesting the conformity of its Quality Systems to the European Directive 97/23/EC (PED) on pressure equipment. 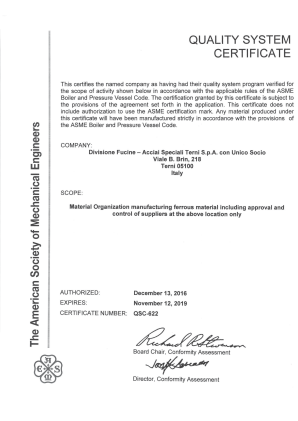 the approval as stainless steel producer for naval uses by Lloyd’s Register.